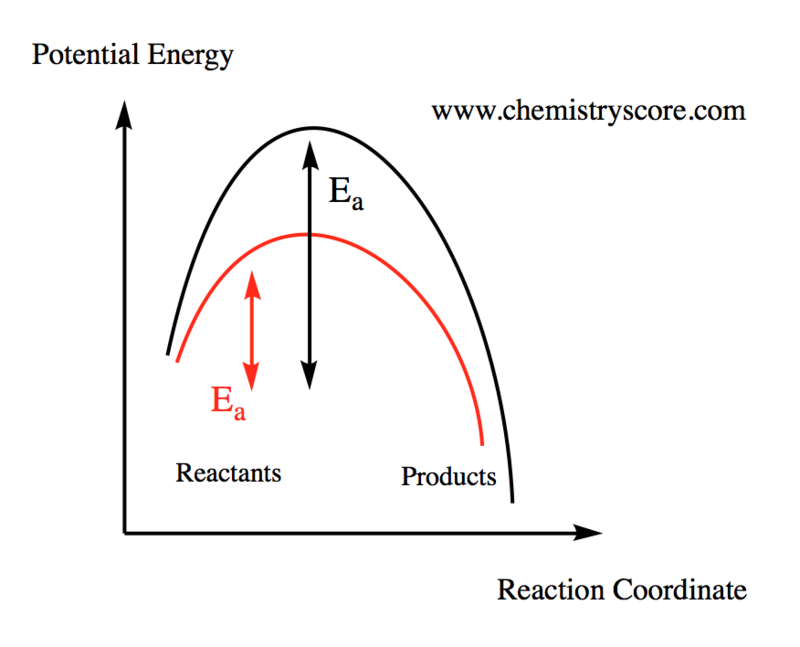 A catalyst is a compound that can speed up the rate of a reaction without itself being consumed by the reaction. A catalyst enables the reaction to proceed via an alternative pathway, one with a considerable amount of lower activation energy. Important factors of catalyst is that they do not interfere with the equilibrium of the reaction, and thus the energies are not altered.